It can be hard to decide effective ways to market a business successfully—for both new and established businesses alike. This is especially true across the legal industry. One of the easiest ways to get a better idea of how to market your law firm is to follow the statistics and trends across legal marketing. By doing this, you can learn successful strategies and common mistakes. Below, you’ll find four strategies that statistics show aren’t being used successfully, but that should be implemented at your law firm. In fact, 26% of law firms surveyed reported that they don’t use any system to keep track of potential clients contacting their firm. That equates to 1 out of every 4! This is utterly shocking seeing as it’s the basics of business. If you’re not keeping track of the people who want to bring you their business, you might as well be burning money. To remedy this, consider investing in a Customer Relationship Management Software (CRM) that will track your leads and sales. This means that one out of every three phone calls aren’t answered by an actual person and are left to go to voicemail. Clients that are sent to voicemail are likely to move on to another law firm for assistance. To avoid adding to this statistic, ensure you have a staff member that only answers the phone or employ a virtual receptionist service that operates 24/7. For those worried about the extra costs associated with this, you’ll easily recoup it from your increased conversion rate. Having an up-to-date and functional website is necessary for success in our internet-driven society. For this reason, it’s almost shocking that so many law firms don’t have an up-to-date website for their firm. With an out-of-date website, it is next to impossible to attract online clients. Aside from those with an out-of-date website, another 14 percent said they may have a beautiful up-to-date website, but it lacks SEO friendliness and/or it isn’t mobile ready. Lacking both of these functions will also have a negative effect on a law firm’s ability to attract and keep clients. Email marketing is one of the easier and cheaper methods of marketing for your law firm. This makes it surprising that such an overwhelming majority of law firms don’t use email marketing. Staying in regular contact with an email marketing list keeps your law firm relevant in the minds of former and potential clients. 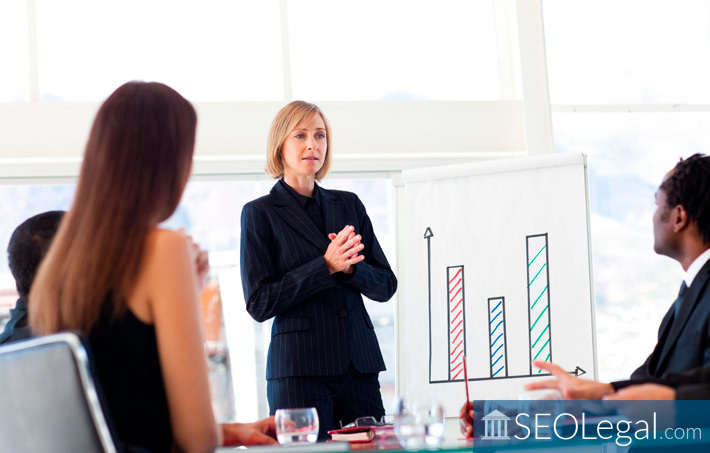 The most successful marketing strategies happen online and ensure a strong conversion rate. For more tips on how to implement a marketing strategy for your law firm, read our tips for saving money on internet marketing.